The rescue operation is underway at the Mumbai's Andheri West Station after a part of a Road Over Bridge (ROB) was collapsed during early morning hours on Tuesday, injuring six people in the incident. 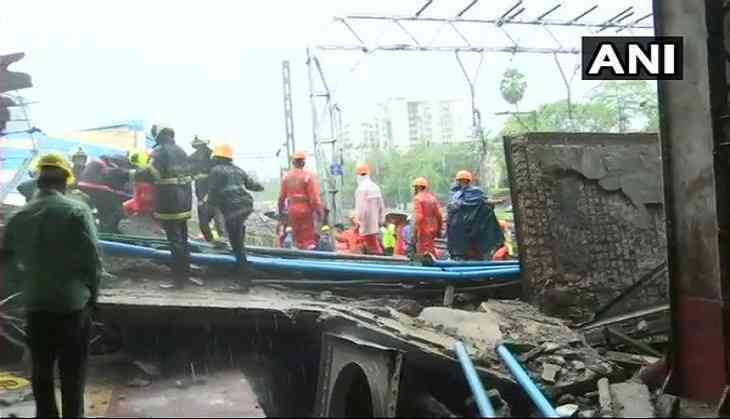 The Gokhale Bridge, which connects Andheri East and Andheri West, collapsed on the tracks near Andheri Station, affecting the transport services at worse. Maharashtra Chief Minister Devendra Fadnavis, taking stock of situation, spoke to the Commissioner of Police of Mumbai and asked him to ensure smooth traffic movement. Meanwhile, Fadnavis also asked the Brihanmumbai Municipal Corporation (BMC) commissioner to increase the frequency of BEST buses for convenience of commuters. Railway Minister Piyush Goyal, on the other hand, directed officials to speed up repair work and rapidly restore traffic in close coordination with other departments. "I've ordered an enquiry by Commissioner of Rail Safety", the Railway Minister added.